Never did I think that I would be referencing a nursery rhyme to describe the “state of affairs” in the highest offices of the United States of America. But lo and behold, it has happened! 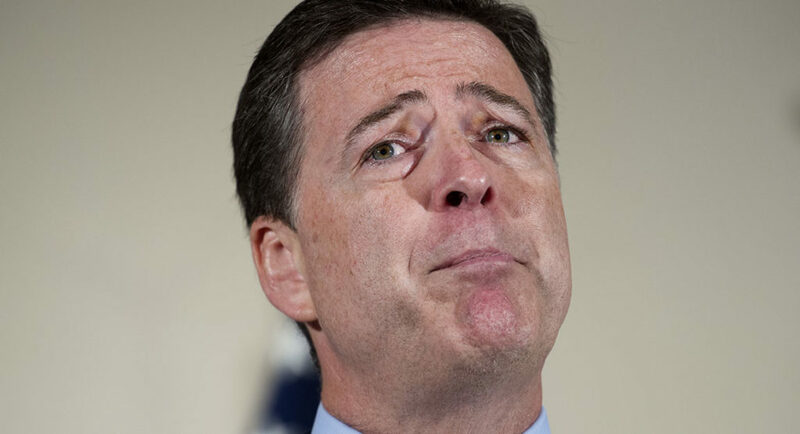 James Comey, former Director of the Federal Bureau of Investigation (FBI), well-groomed, boyish looks, “blue” suits, with an impeccable reputation, is the political topic of the day. He was fired by the President of the United States, Donald Trump, almost a year ago. He recently published an autobiography with the title “A Higher Loyalty: Truth, Lies, and Leadership.” Ethics, leadership, and his experience in government are raised and discussed in his book. The question of course is…why was James Comey fired? Was he not viewed as an outstanding individual, with an equivalent record? The FBI has always been highly regarded and respected. But for some reason, James Comey, has “tarnished” this institution, with his “childish” verbiage of what happened between him and the President. It is my intention to zero-in on this relationship and how it lead to Comey’s firing. According to the President, Comey was fired as head of the FBI on May 9, 2017, based on the recommendations of his attorney general and deputy attorney general. As well, having given thought to the FBI’s probe into possible collusion between his campaign and Russia, only encouraged him to dismiss Comey. The irritant, to say the least, was Comey testifying before the Senate Intelligence Committee last June in which he detailed a series of interactions with Trump, whereby he stated that the President pressed him for “loyalty,” pushed him to clear the president’s name and drop the investigation into former national security adviser Michael Flynn, all of which the President denied. President Trump publicly stated that he concurred with the Department of Justice’s decision to terminate James Comey. The Department stated that “the FBI’s reputation and credibility have suffered substantial damage, and it has affected the entire Department of Justice.” This was followed by the “infamous” Clinton email investigation, whereby Comey should not have given a news conference recommending that Hillary Clinton, who used a private email server while Secretary of State, not face criminal charges. The deputy attorney general writes that Comey should have turned his findings over to federal prosecutors. He also takes issue with Comey’s decision to send a letter just days before the November election revealing newly discovered Clinton emails. “When federal agents and prosecutors quietly open a criminal investigation, we are not concealing anything; we are simply following the longstanding policy that we refrain from publicizing non-public information,” the letter states. It was evident that Comey’s time was up. A soured relationship between Comey and the President. To put it bluntly, President trump had no liking for James Comey. Arrogance may have been the self-inflicted “political wound” that eventually ended James Comey’s career. Anyone to state the following, knowing that President Trump had the last word, would only be a fool. “I thought there’s no way …I’m not going to get fired, because I’m in charge of the Russia investigation. The president’s not going to fire the FBI director who’s handling the Russia investigation.” But no sooner said, James Comey became the next casualty in the “fall from grace” in the eyes of President Trump.